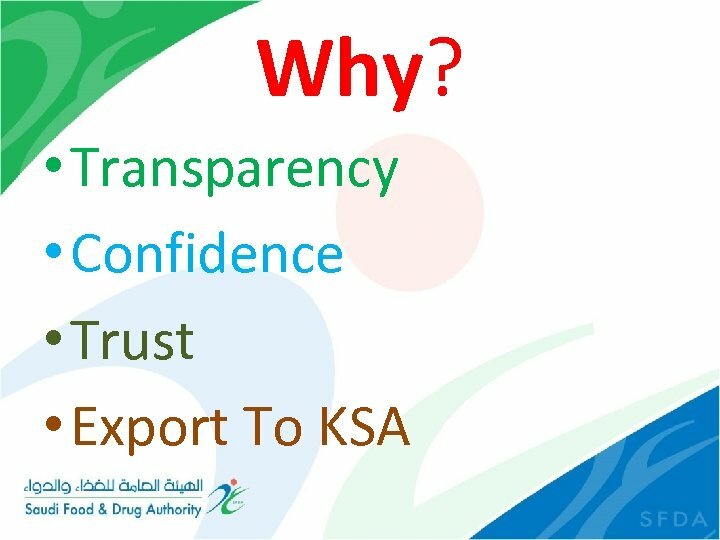 Why? ? 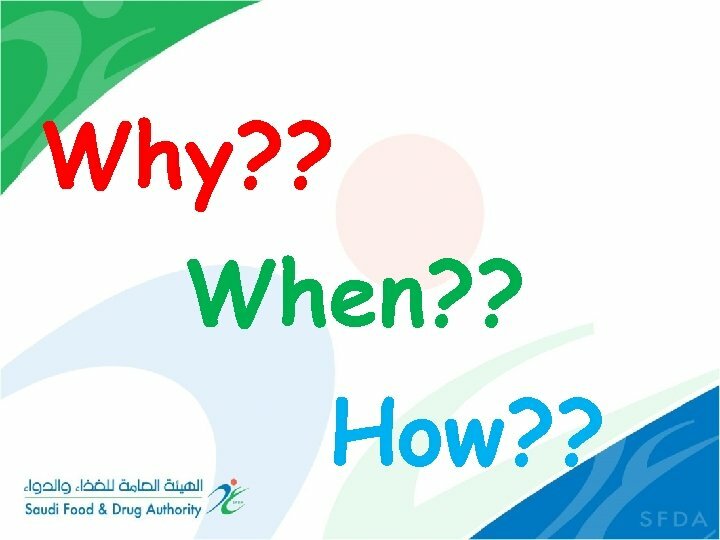 When? ? 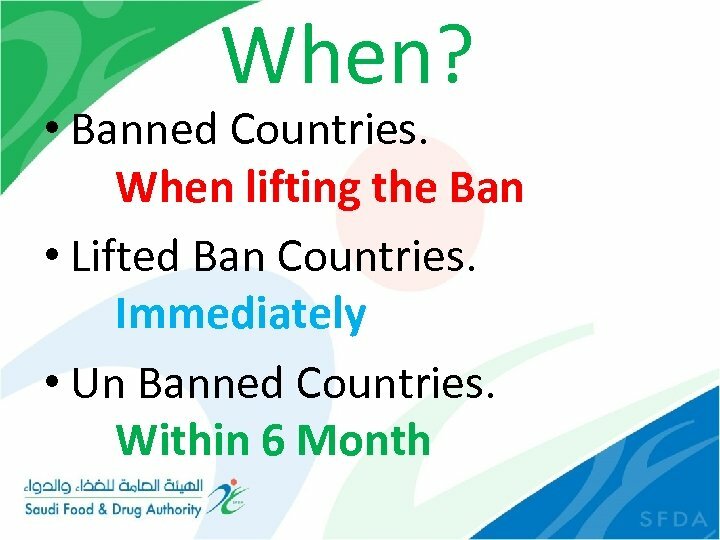 How? ? 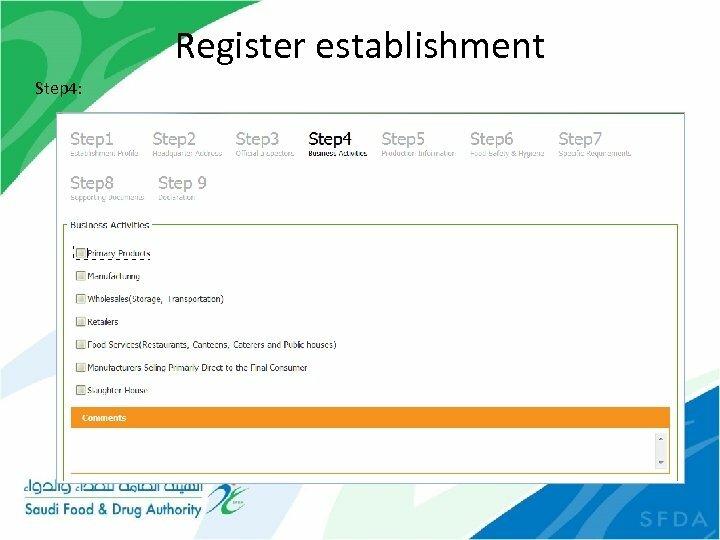 How? ? 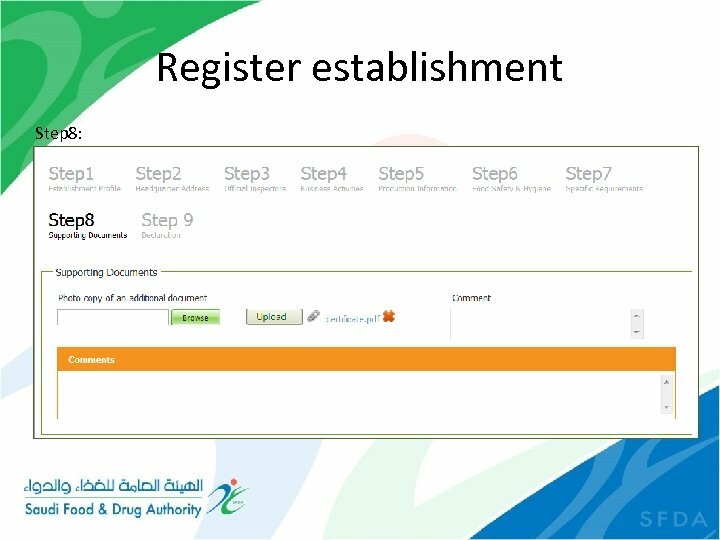 • Required Documents to Upload Registration Certificate. 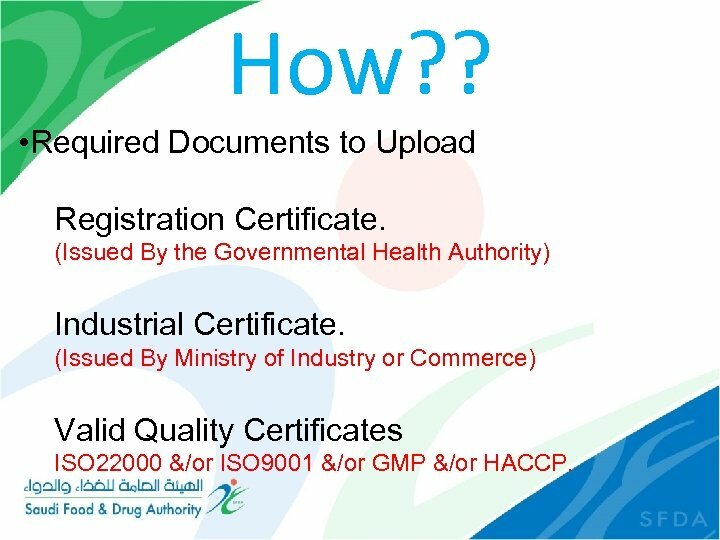 (Issued By the Governmental Health Authority) Industrial Certificate. 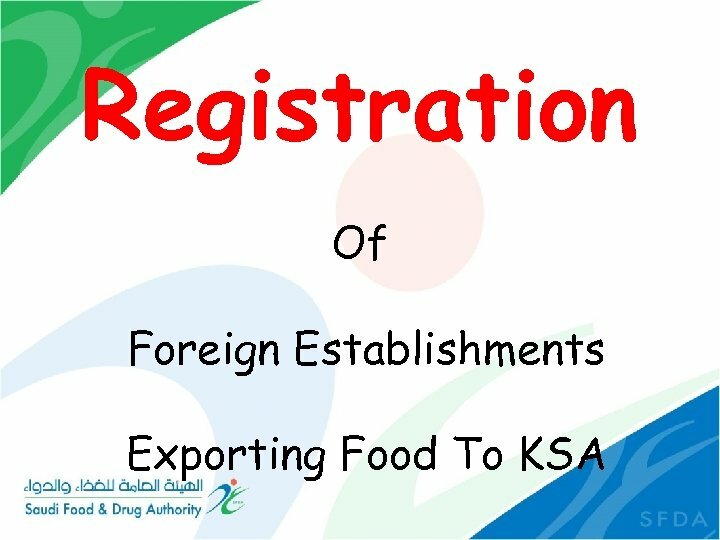 (Issued By Ministry of Industry or Commerce) Valid Quality Certificates ISO 22000 &/or ISO 9001 &/or GMP &/or HACCP. 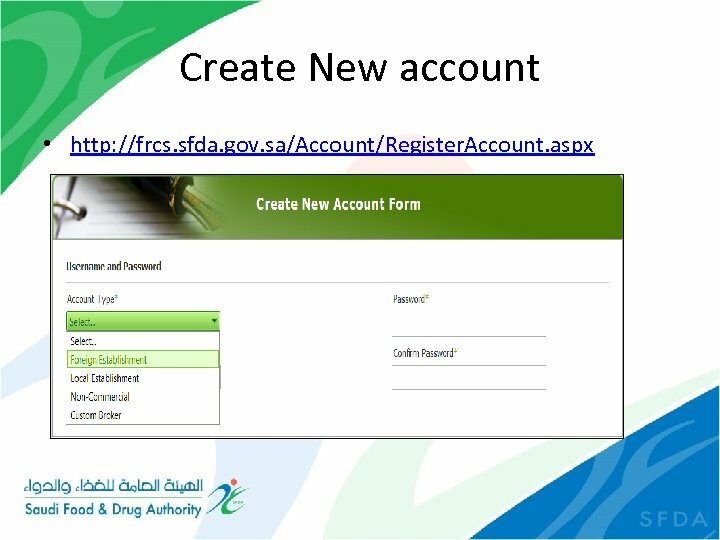 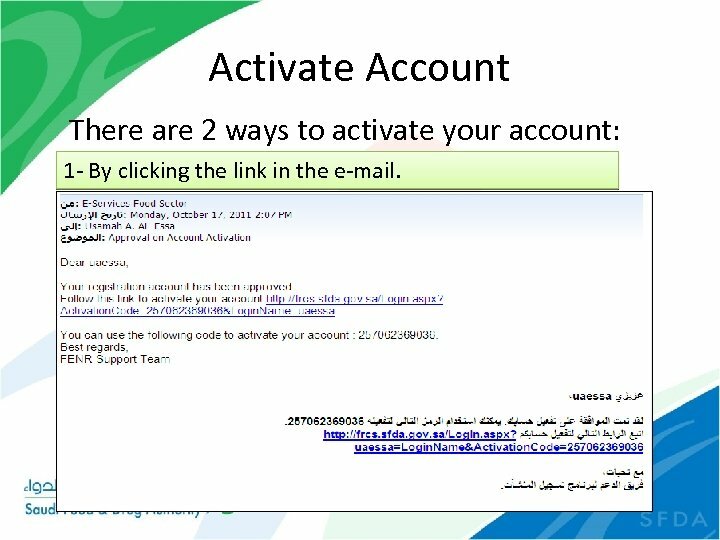 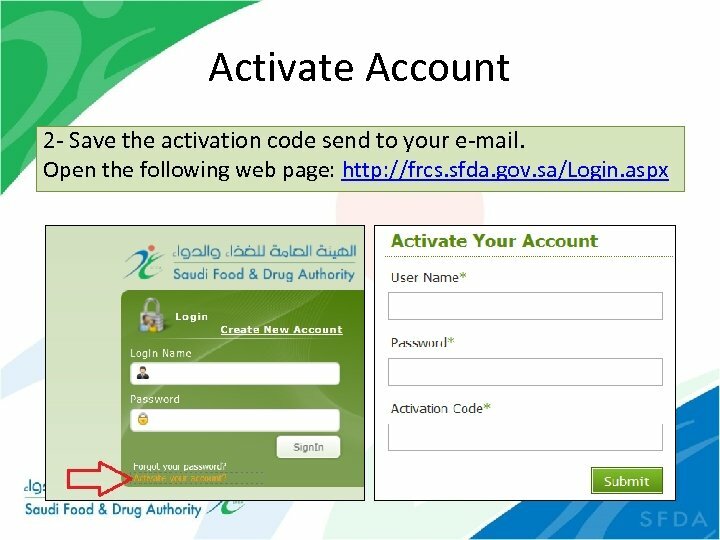 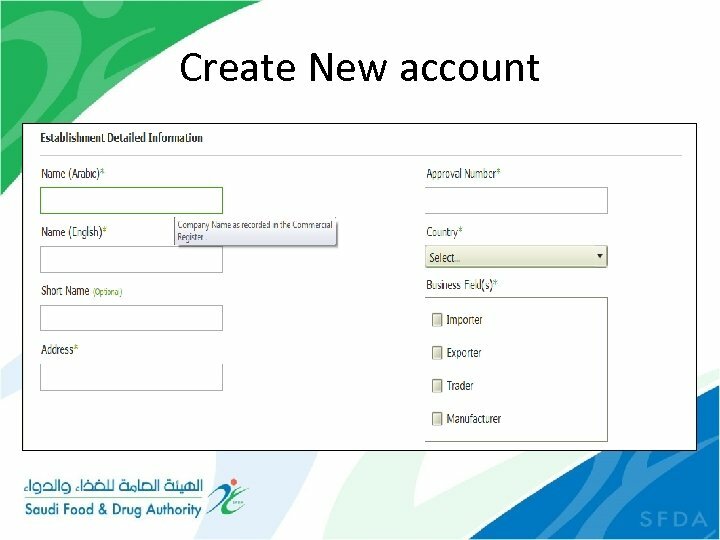 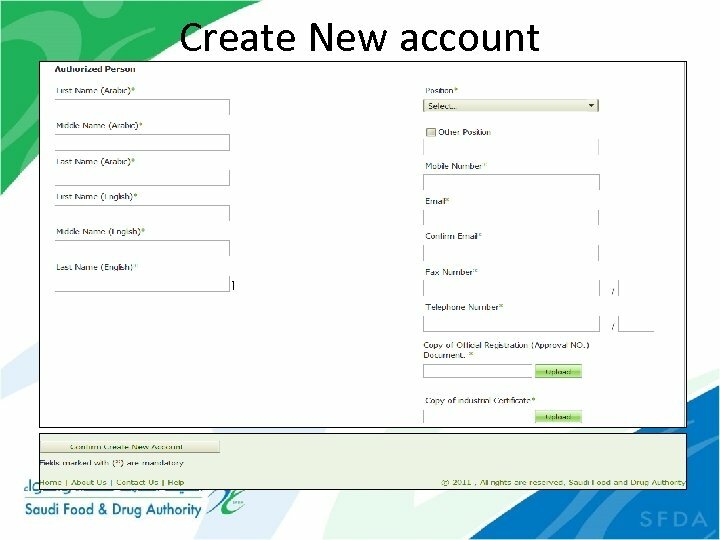 Activate Account There are 2 ways to activate your account: 1 - By clicking the link in the e-mail. 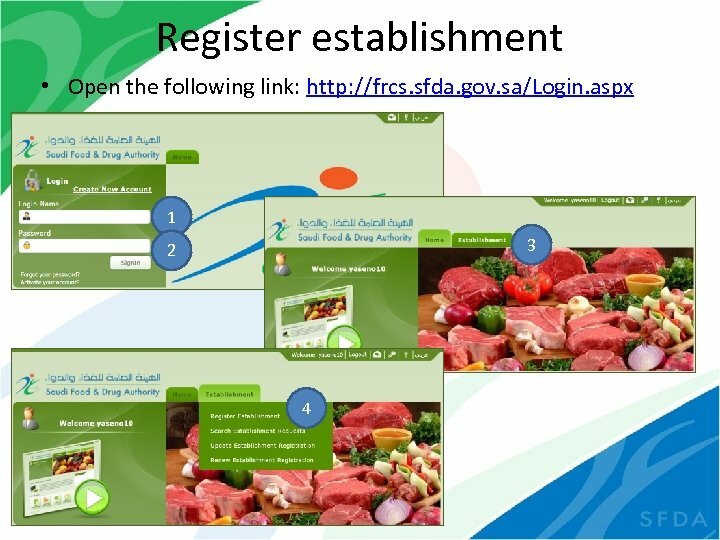 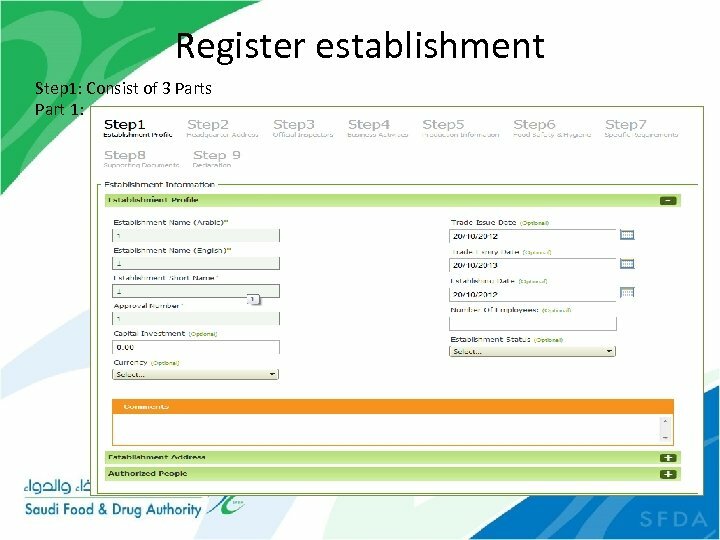 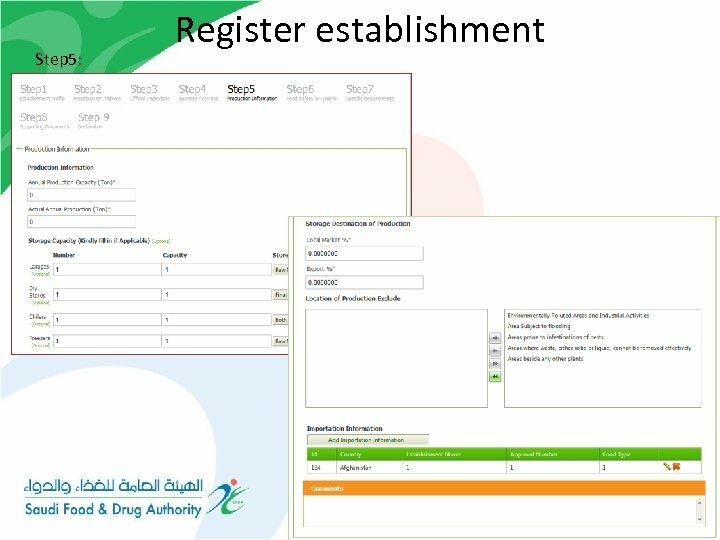 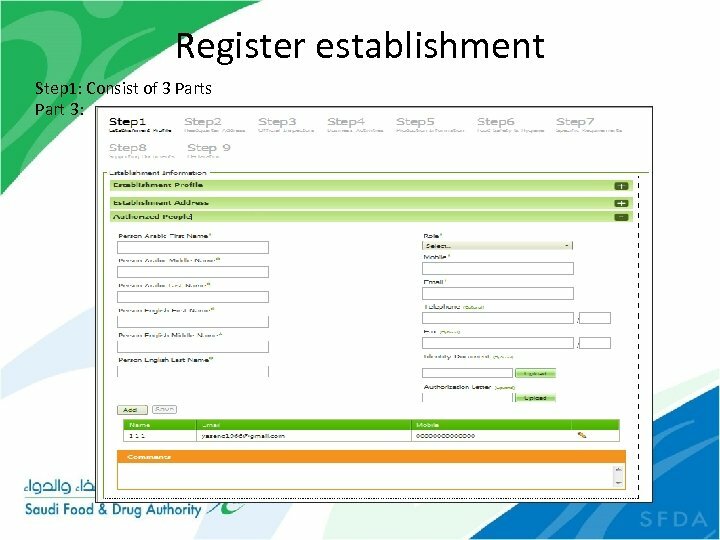 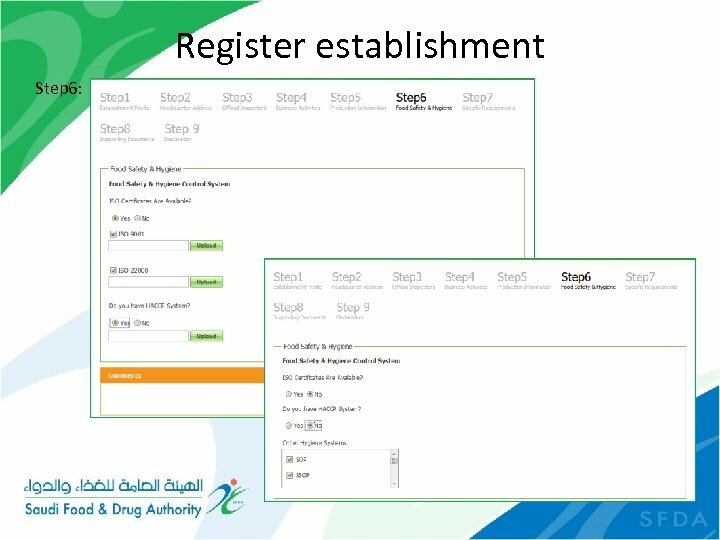 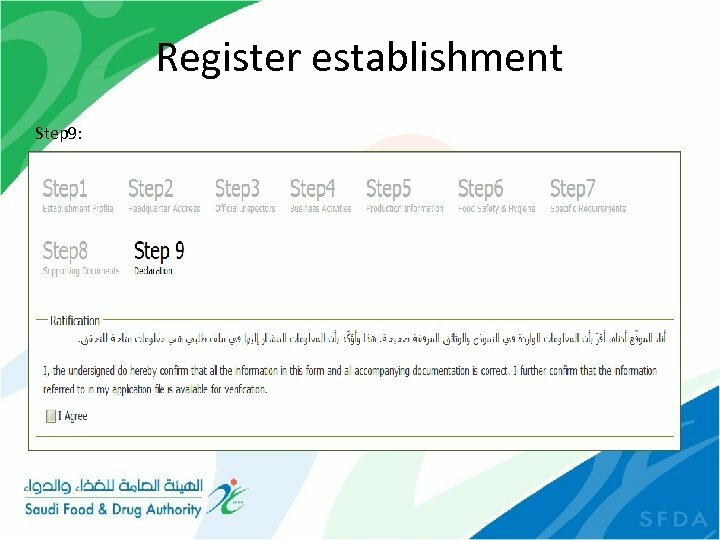 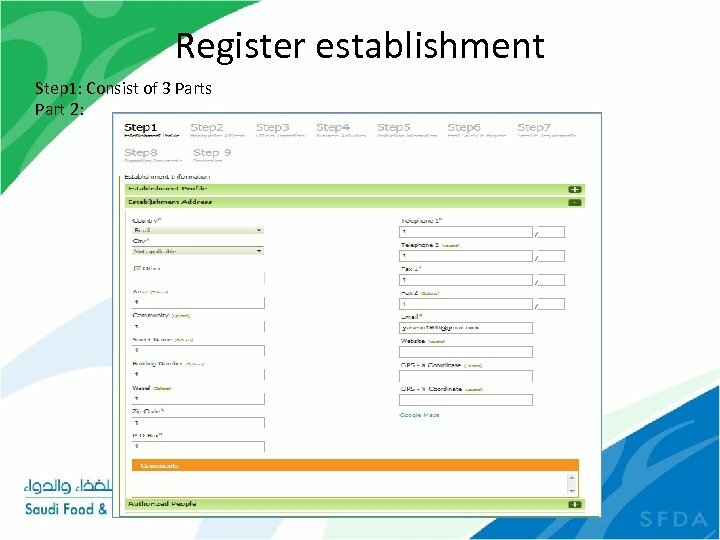 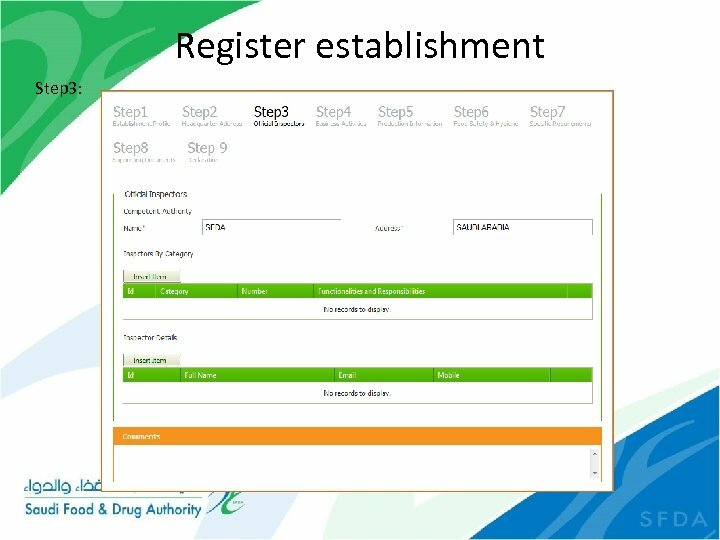 Register establishment Steps of registration depend on the type of the Establishment. 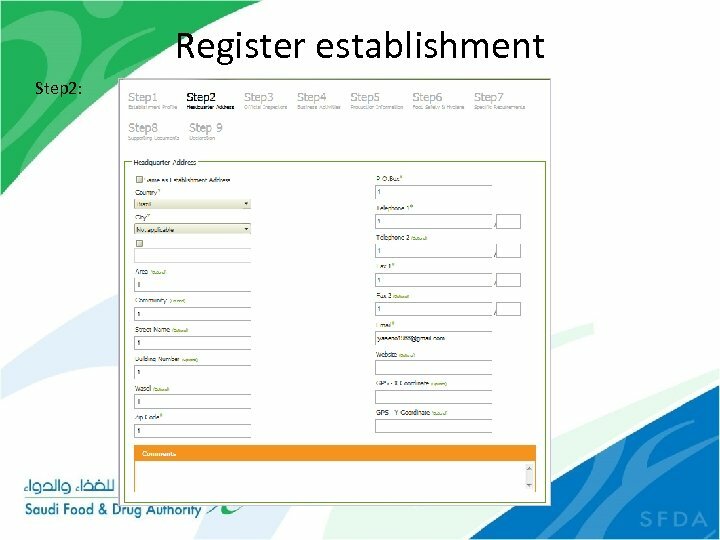 The registration consist of 8 steps For all types of establishments. 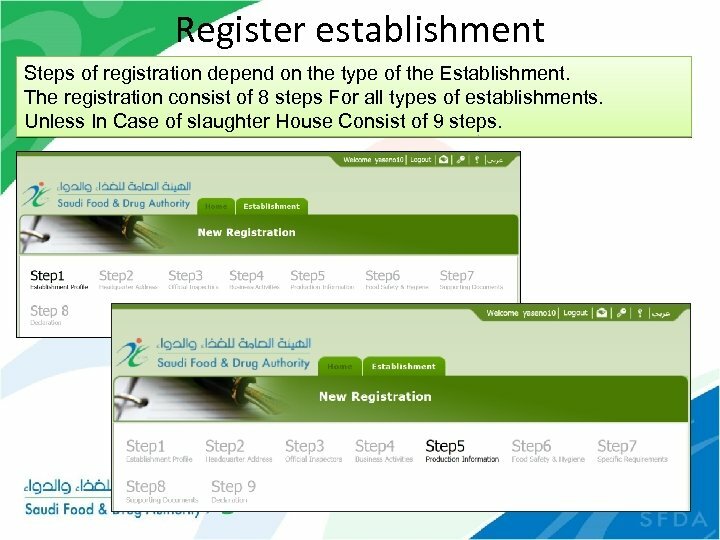 Unless In Case of slaughter House Consist of 9 steps.